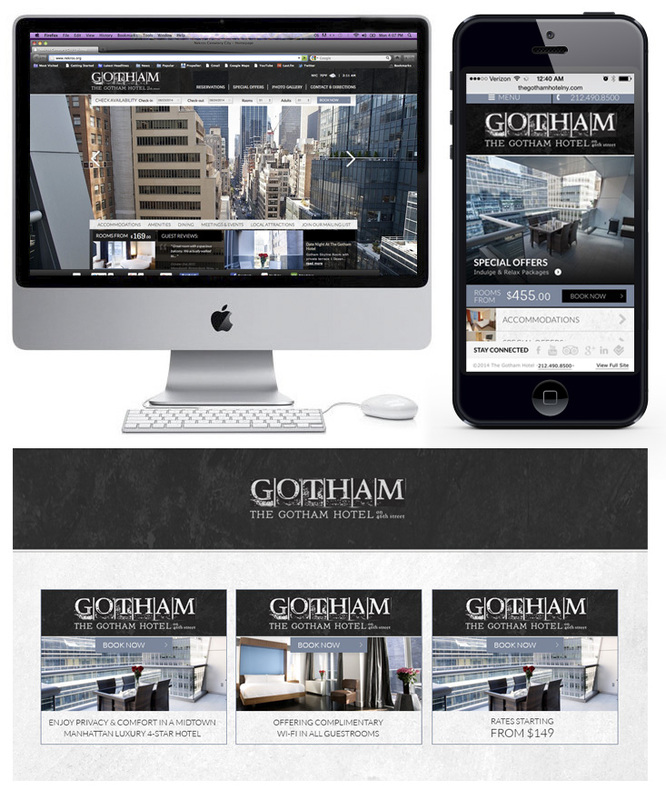 The Gotham Hotel of New York City does not house Batman unfortunately, but we were able to redesign their current website giving them more of a grungy, dark feel. Below you can see the website design and remarking campaign I created, but sadly the site has been redesigned again by someone else. See an older version of the site on archive.org.